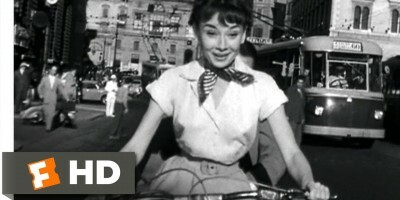 Roman Holiday is a 1953 American romantic comedy directed and produced by William Wyler. It stars Gregory Peck as a reporter and Audrey Hepburn as a royal princess out to see Rome on her own. Hepburn won an Academy Award for Best Actress for her performance; the screenplay and costume design also won. It was shot at the Cinecittà studios and on location around Rome during the “Hollywood on the Tiber” era. The film was screened in the 14th Venice film festival within the official program.